Italy’s plans to raise $3.5 billion by selling off its analogue TV spectrum are in chaos. There are more than one hundred local TV channels involved who say they will not release their spectrum unless they receive better compensation terms. Worse, Italy’s cellular phone operators, the likely buyers of the spectrum, say they will not enter into the bidding process unless they can be certain they have immediate access to the spectrum. The planned sale was expected to help fund Italy’s 2011 budget. 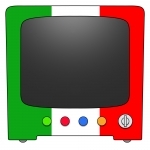 The Italian government has already agreed to pay 10 per cent of the auction’s proceeds as compensation for broadcasters. Local reports say that the TV companies want this compensation scheme to be doubled. Vodafone, for example, recently stated that auction prices will be much lower if there are problems with access to the spectrum.